AddCar Rental AMSTERDAM NOW OPEN. 25% DISCOUNT THIS WEEK. AMSTERDAM OPEN. 25% DISCOUNT THIS WEEK. We are very happy and proud to announce the opening of a new addCar location in Amsterdam, Eindhoven and Rotterdam airport, as well as centrally in Amsterdam. We have a great selection of vehicle from Mini over Compact to high-end cars. Take advantage of this great offer and receive 25% off the listed price by entering "Amsterdam" into the memo field in the reservation form. Amsterdam inspires incredible stories like nowhere else. Stories of imagination. Curiosity. And epic adventure. Amsterdam and Eindhoven are destinations where children and grownups alike can enjoy once-in-a-lifetime experiences exploring our legendary city or the Atlantic Ocean, wonderful attractions and luxurious escapes. So be open to the surprises Netherlands offers. 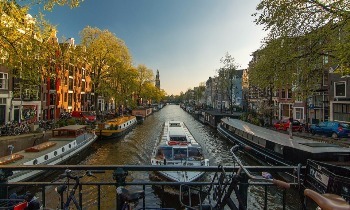 Your Never Ending Story begins in Amsterdam and why not with an addCar rental car.